It’s November and it’s NaNoWriMo time. As you, me and everyone starts penning their 50,000 words, let’s encourage all the authors who have put in a lot of hardwork in their novels. On this note, we have with us Ben Peek. Hi Ben! Tell us something about yourself and about your journey as an author. 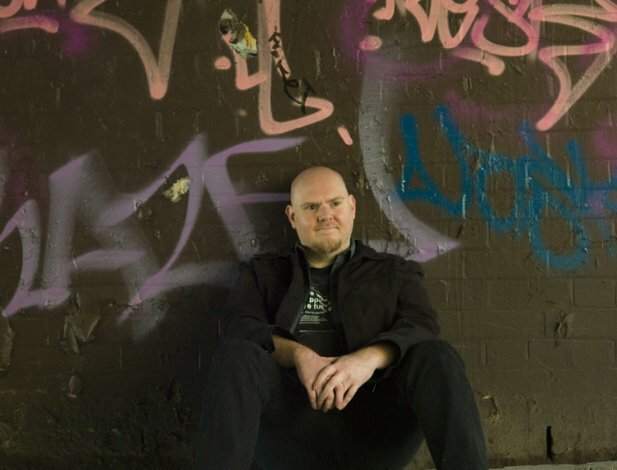 I’m an Australian author who lives in Sydney. I’ve been publishing speculative fiction of one kind or another for about two decades now, beginning with short fiction in old paper fanzines that paid me nothing, to independent publishers, and big mainstream publishers. I suspect I’ve seen just about every story of success and failure that you can imagine in publishing. 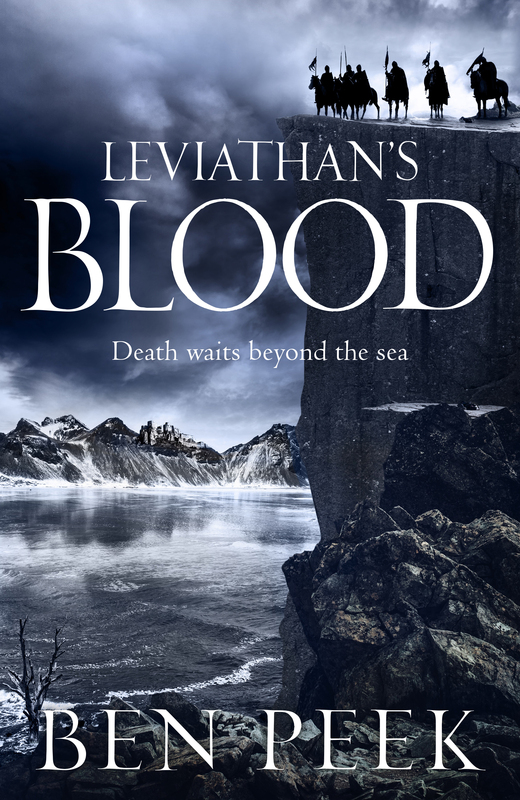 Your new book Leviathan’s Blood is a sequel to the Godless. And it is the second book in the Children’s Trilogy. Please tell the readers about it and what they can expect from the triology? The Children Trilogy is my big, crazy fantasy series, where the gods are dead, their bodies leak their power into the world, and people awake with strange powers. It’s set in a world where the sun is broken, the ocean is black, and the body of a god is hidden beneath a mountain range. It’s my homage to my childhood of reading big fantasy books, really. It’s all the things I loved as a teenager – big sword fights, big crazy cities – and all the things that I love as an adult – quantum entanglement theory, discussions on the nature of godhood, life after death – mashed into a big thing. I finished the last book earlier this year and all three books come in at around half a million words. It’s like I’ve lived my childhood dream. Nah. Leviathan’s Blood is my sixth book. My first was a science fiction novel, Black Sheep, that I wrote when I was twenty one. It’s a pretty rough book, but if you can find a copy of it round, it sort of pins the start of my interests down. Things like equality, fighting against racism, that sort of thing. You can see that running through all my work, to one degree or another. In the fantasy books, for example, the equality is just part of the world building. So there’s no discrimination based on gender, the cast is diverse, things like that. It’s the 21st Century, after all, and we ought to have fiction that represents the diverse, multicultural world we live in. My other books include an autobiography about autobiographies, a flip science fiction novel with Stephanie Campisi, and a collection of short stories entitled Dead Americans and Other Stories. It’s full of my short pieces, and you should totally read it. Which of the characters in your recently released book is your favourite and why? I like them all – otherwise, why write them? Mostly, it’s just the thoughts in my head. Left to my own devices – in a shower, walking, just passing time – I tend to make up stories in my head. I might read an article, or see someone, and more and more it all creeps in. So, in many ways, I write just to push out what’s in there. Now, why do I publish, that’s a different question. The answer is simple: I don’t like other jobs. I’d like to do this solo, if I could. So I write it to clean out my thoughts, and I sell it because it might mean I don’t have to do the other things I do for money. What do you think are the biggest strength and weaknesses of a writer? I am sure another person can tell you all about my weaknesses. As for my strength, I don’t know. It’s all a bit too much to say you’re good at this but bad at that, I think. I try to be good at everything in my work. I know I’m not, but you have to strive forward. Have you ever faced the ‘Writer’s Block’? How do you deal with it? No, not really. I mean, some days you don’t want to write, but if you keep a regular schedule, it pretty much takes care of itself. Which I guess is how I deal with it, really. I write between five to seven days a week, depending on how the work is going. I keep ritualised work hours, even. Those physical acts are a great help, I think, but naturally, your mileage may vary. Being a published author, what do you think are the best ways to approach a publisher? Also, what do budding authors need to keep in mind while writing their first ever book? Probably the best way to approach a publisher is through an agent. I mean, if we’re talking about a big publishers. Even some of the higher up independent publishers. You want to go in with an agent, there. S/he will know how to navigate the workplace there, in a way you never will, until you’ve been in the mix for a long time. After that, the only advice I can offer you is to be polite. You’d be surprised how many authors are not polite. As for new authors, I think it’s important that you keep in mind that you have to be writing for yourself, to a degree. Write because it means something to you. Not because of money, or fame, or something else. Write because it means something to you. Because it speaks to you. And read. Read everything you can. Apart from your work, which other books would you recommend and why? I recently read Roberto Bolano’s 2666, which I loved, and I think everyone should read. It’s about violence. You can watch the trailer of the book here. Whose Blog Is It Anyway? 11 Reasons Why I Haven't Read The Game Of Thrones Books Yet!